Herb grew up in a food based family, his father being an owner/founder of Stratford Packers Meats & Delicatessen. 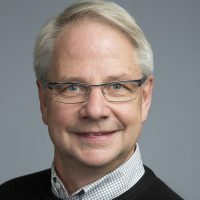 He earned his Bachelor of Business Administration at Wilfrid Laurier University and spent the next ten years of his career in Human Resources with companies such as Campbell Soup Co and Simmons Mattress. Entrepreneurial opportunity presented itself and Herb became Owner/Secretary Treasurer of G. G. Goettler Furniture Inc (Dublin, Ont.) for 22 years. He now operates Hartfiel & Associates, providing accounting/bookkeeping and general business services to a variety of clients. Herb and his wife Pauline have 3 sons and currently reside in Mitchell.